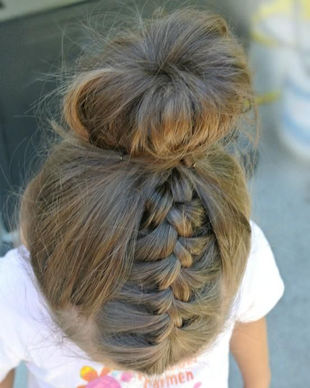 How to Style Little Girls' Hair - Cute Long Hairstyles for School. 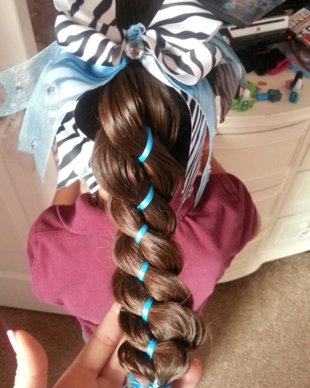 Dread the thought of having to help out your little princess with ever more complicated hairstyles this school year? You can keep her satisfied with half the effort with our cute & easy hairstyles for long thick hair. Looking for cute and easy updos for school? You're going to love this. 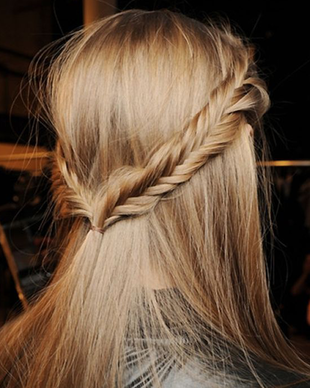 The fishtail braid works nicely with long hair of all textures. Gather her hair to one side of the neck and start braiding using very thin strands and securing the braid with a hairband when you're done. Another great choice when looking for cute & easy updos for school, this basic braid is quick and super cute. Grab a 1x1 hair strand on one side of the head, braid it and wrap it over the top of the head, securing it with a bobby pin. Pondering on cute & easy updos for school? You're going to love this little number, which will make your baby look adorable while keeping hair out of her face. 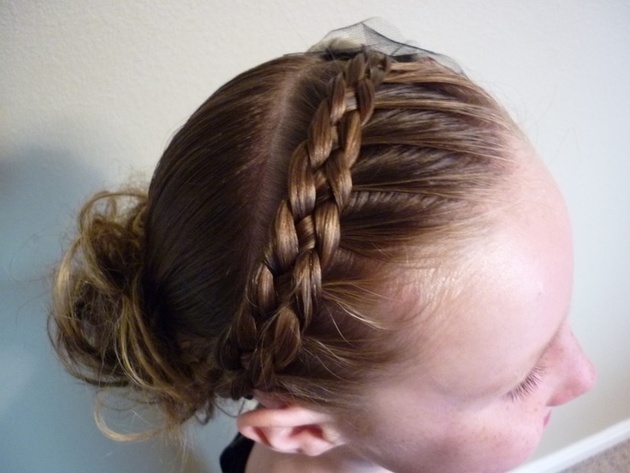 Gather out a front headband-shaped section, start French braiding from behind one ear and finish off at the other end. Fasten with bobby pins. Ran out of ideas for cute & easy updos for school? 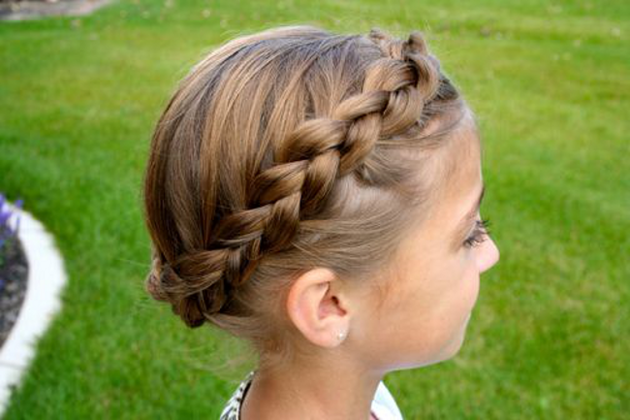 Try out this simple one-sided French braid. 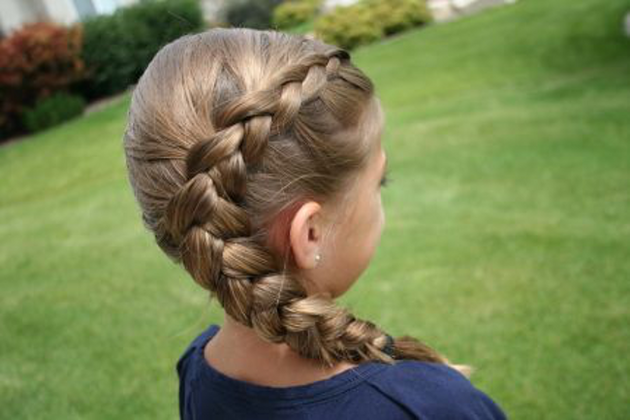 Comb her hair with a parting, French-braid from the parting all the way back down one side, angling it toward the nape. Fasten it to the head with bobby pins. Comb the remaining hair to the back of the neck and secure it in a cute chignon. Gather her hair in a twisted low side ponytail, fastening it with a rubber band. 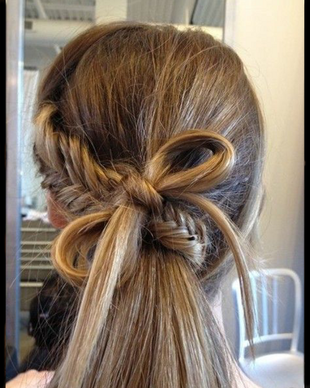 Take an outside strand, wrapping it around the rubber band, and use a bobby pin to fasten it underneath. As cute & easy updos for school go, you can never go wrong with a headband or bow. Gather the hair in a simple ponytail and braid it. As a finishing touch add a flowered or beaded headband. Alternatively, clip half of her hair up or on the side with a cute and colorful bow. The ballerina bun is an option which can save you a lot of precious time. Pull her hair up into a bun, secure it with bobby pins and she'll look like an adorable little ballerina. This might be a little too much for school, but it's a cute look for a birthday party. Move her hair over to one side and gather it in a cute side-swept bun, which you can secure with bobby pins and a little flower on top.